I forgot to mention that I got some other labs done on Tuesday at the hemo-clinic, but haven’t heard back: no news is good news. Another funny thing that I failed to write about last time was that my hematologist said that if I ever have another issue like that at 5 A.M., that it’s best to just wait until their infusion clinic opens at 7:30 instead of going to the E.R., where no one knows about hemophilia. It’s supposed to be a two-to-three minute process. 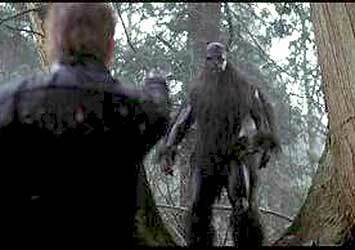 So yeah, upon thinking about these things, I figured it is safer to bleed it out at home for a couple of hours rather than go to the germy E.R., which probably sees and treats sasquatches on a more regular basis than thinbloods. Then my hematologist said that she’s the only one in the hematology department who is comfortable treating and observing people with hemophilia- I didn’t know we made people involved in medicine so nervous! But, three odd days later and all is still well. It’s funny how quickly I move on, how I immediately just went back to my routine of trying to get things together for Christmas, perfect my Wii bowling, hang out with one of my good friends who is in town. Just all the fun holiday stuff. Oh, and I’d be remiss if I didn’t send out a sentiment to Dennis Kucinich, who lost his brother yesterday. Our team has had a rough week, and my wee issue pales in comparison to what he must be going through. Big positoid to vibes to the little guy with big ideas.